Is Abbott Laboratories (ABT) A Good Stock To Buy? Hedge Funds and other institutional investors have just completed filing their 13Fs with the Securities and Exchange Commission, revealing their equity portfolios as of the end of September. At Insider Monkey, we follow over 700 of the best-performing investors and by analyzing their 13F filings, we can determine the stocks that they are collectively bullish on. One of their picks is Abbott Laboratories (NYSE:ABT), so let’s take a closer look at the sentiment that surrounds it in the current quarter. Is Abbott Laboratories (NYSE:ABT) going to take off soon? Hedge funds are in a pessimistic mood. The number of bullish hedge fund positions dropped by 1 in recent months. Our calculations also showed that ABT isn’t among the 30 most popular stocks among hedge funds. ABT was in 53 hedge funds’ portfolios at the end of the third quarter of 2018. 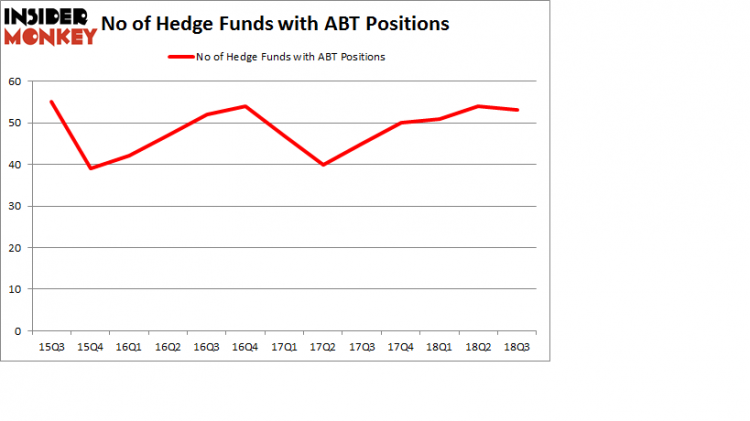 There were 54 hedge funds in our database with ABT holdings at the end of the previous quarter. We’re going to analyze the fresh hedge fund action encompassing Abbott Laboratories (NYSE:ABT). What have hedge funds been doing with Abbott Laboratories (NYSE:ABT)? At Q3’s end, a total of 53 of the hedge funds tracked by Insider Monkey were bullish on this stock, a change of -2% from one quarter earlier. The graph below displays the number of hedge funds with bullish position in ABT over the last 13 quarters. So, let’s find out which hedge funds were among the top holders of the stock and which hedge funds were making big moves. The largest stake in Abbott Laboratories (NYSE:ABT) was held by Diamond Hill Capital, which reported holding $653.4 million worth of stock at the end of September. It was followed by Adage Capital Management with a $202.5 million position. Other investors bullish on the company included Citadel Investment Group, Sirios Capital Management, and Partner Fund Management. Seeing as Abbott Laboratories (NYSE:ABT) has witnessed declining sentiment from the entirety of the hedge funds we track, it’s easy to see that there was a specific group of money managers that elected to cut their entire stakes last quarter. 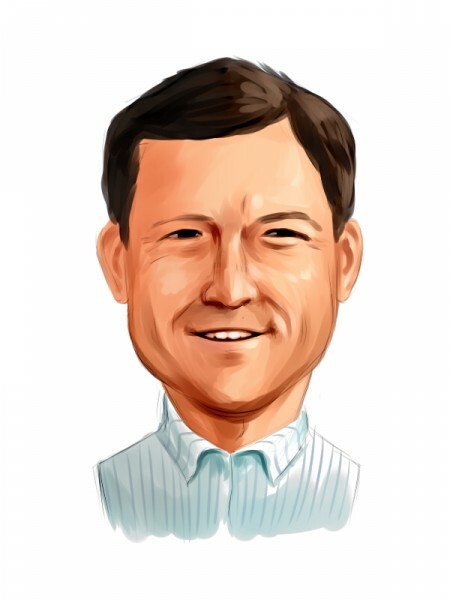 It’s worth mentioning that Matthew Tewksbury’s Stevens Capital Management sold off the largest position of the 700 funds watched by Insider Monkey, worth an estimated $35.1 million in stock. Jeremy Green’s fund, Redmile Group, also cut its stock, about $27.4 million worth. These moves are important to note, as aggregate hedge fund interest fell by 1 funds last quarter. Let’s now review hedge fund activity in other stocks similar to Abbott Laboratories (NYSE:ABT). These stocks are Philip Morris International Inc. (NYSE:PM), 3M Company (NYSE:MMM), Honeywell International Inc. (NYSE:HON), and China Petroleum & Chemical Corporation (NYSE:SNP). This group of stocks’ market values are closest to ABT’s market value. As you can see these stocks had an average of 33.75 hedge funds with bullish positions and the average amount invested in these stocks was $1.50 billion. That figure was $1.70 billion in ABT’s case. Honeywell International Inc. (NYSE:HON) is the most popular stock in this table. On the other hand China Petroleum & Chemical Corp (NYSE:SNP) is the least popular one with only 13 bullish hedge fund positions. Compared to these stocks Abbott Laboratories (NYSE:ABT) is more popular among hedge funds. Considering that hedge funds are fond of this stock in relation to its market cap peers, it may be a good idea to analyze it in detail and potentially include it in your portfolio.